Mitten art projects for preschoolers through second grade. Cut out mitten shape (4 per child) each child can decorate two mittens these will be the top of the mittens (opposite hands) however you’d like ie…painting, coloring, or gluing something on to it. On another mitten will be their painted handprint and the last mitten will be a poem about mittens. The handprint and the poem are the inside of both mittens. Glue the wrist part of the pairs of mittens together making only 2 mittens also leaving room to lift the flap to see what’s inside (the hand and the poem) string together with yarn and hang! Adorable…my kid’s parents love this project, it’s always a huge hit! Tape pieces of shelf-liner (the clingy, squishy stuff) to the table and have the children paint that. Then have them cover the liner with a piece of paper and press down on it to make a print. The liner makes a pattern that looks like knitted mittens. Cut out two mitten shapes from white paper. Cut the two mittens into big pieces, one piece for each child. Have the children color or paint their piece. Put the pieces back together like a puzzle and glue onto a paper backing. Hole punch one hole in each mitten, tie one end of an 18″ piece of yarn to the hole in one mitten and tie the other end of the yarn to the other hole. Now you are ready to hang the mittens for the children to see. I teach toddlers and they had a blast wearing mittens (the knit kind work best) and dipping their mitted hands into finger paint and painting on a large sheet of paper! It’s an awesome sensory activity and perfect for toddlers and preschoolers! Cut out large mittens on an Ellison machine if available or freehand with scissors. Using foam paint which dries almost instantly or fingerpaint have children make their handprints all over the mittens. Foam paint does not bleed so as many colors as the children want can be used. If using finger paint the primary colors work best. We make “Marbleous Mittens” during our M week. We cut out different colors of construction paper mittens and put them in a box, or a covered cookie tray( like from the stores) and dip the marbles in paint and then put them into a container and let the kids shake the container and the marbles make tracks across them. It is really a neat looking effect. We recited the “Three Little Kittens” while putting the characters on a flannel board. Then the children picked a paper mitten from the teacher. They had to find a matching color mitten from the ones hidden in the room. When the child had two the same color he/she decorated the one found to match the one they picked from the teacher. Read “The Mitten Tree” by Candace Christiansen. Cut out the shape of a large evergreen tree. 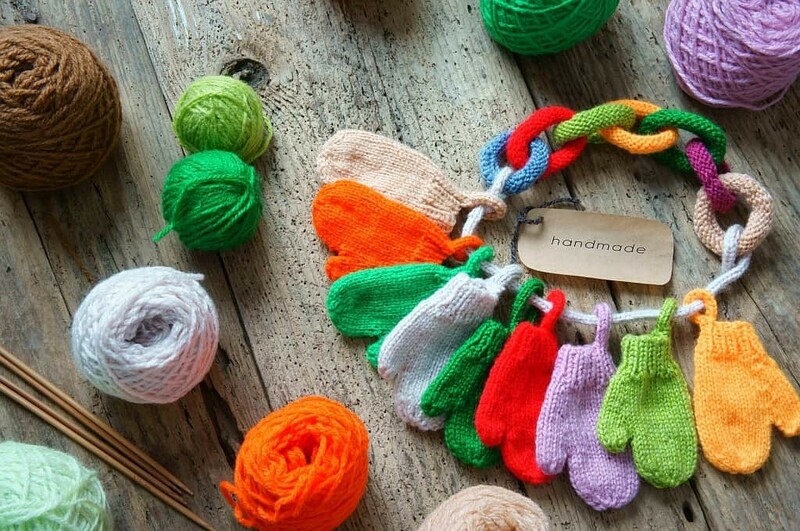 Cut out pairs of mittens from wrapping paper or wallpaper Mix up the mittens in a basket or bowl. Have each child search for a matching pair of mittens. Have the children glue the mittens to the tree. We read the story “The Mitten” and then we review the story by stamping animal pictures inside a construction paper mitten in the same order from the story. Cut out two mittens from butcher paper. Have children collage on them with squares from construction paper or other material. They look like patches when they dry. I fasten them together by stapling a piece of yarn on to them. We hang them up in our room or take them home for the refrigerator. A great book to go with this is a book called The Mitten. We also do the Three Little Kittens.